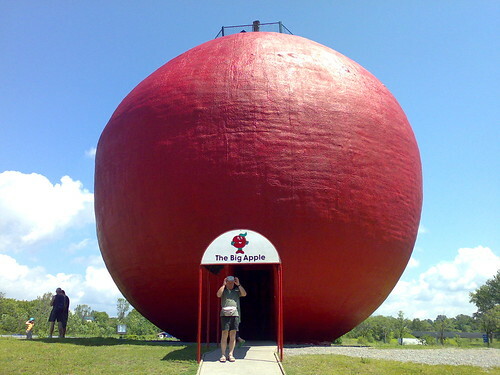 World's Biggest Apple is a unique apple shaped building in the village of Colborne, Cramahe Township, Ontario, Canada. Known as "Big Apple" it houses a pie bakery, a gift shop, a restaurant and an information centre for giving information about apple growing and apple products. 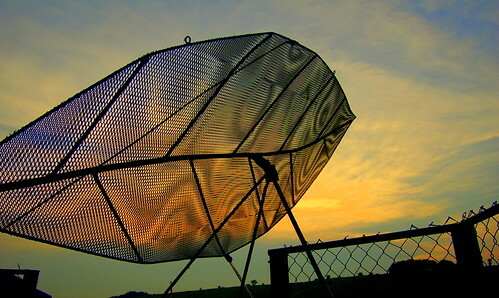 The Big Apple with a height of 10.7 metres and maximum diameter of 11.6 metres also has an observation deck on its top, which provides not only a panoramic view of the nearby township but also a spectacular view of Lake Ontario. Located on Highway 401, it is a popular stop for travellers and reportedly more than 500,000 people visit it each year.